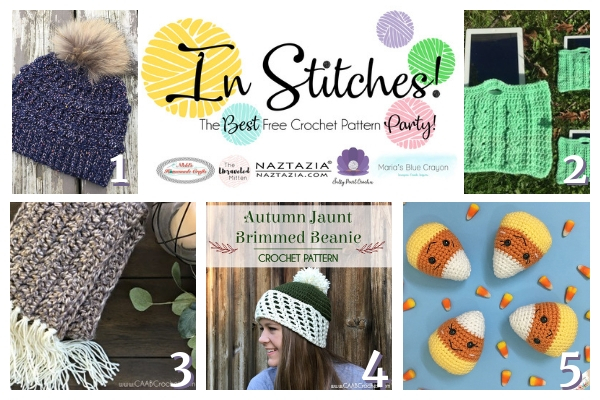 The In Stitches Link Up Party offers a handful of the best free crochet patterns rounded up by five talented crochet blogger whom also share their newest free patterns! Find the links to the round up of the best free crochet patterns below and keep scrolling for the newest crochet patterns from the hosts. Additionally, scroll to the bottom to see what goodies are being submitted this week! Find the links below for the top 5 free crochet patterns from this week’s round up! Be sure to keep scrolling for more free patterns from the hosts and the free patterns being submitted! There are free crochet patterns being submitted by more talented crochet designers at the bottom! Check out your favorites! 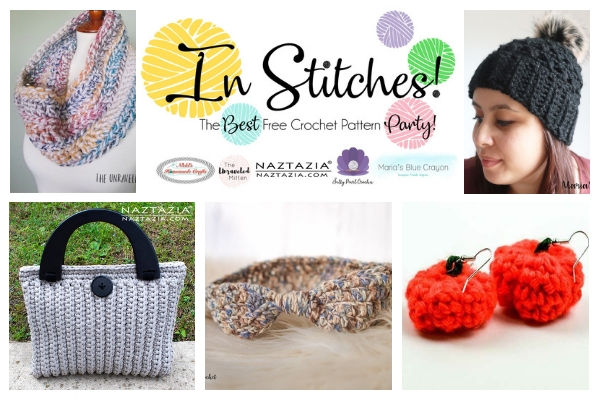 Find the newest and free crochet patterns from the hosts at the links below!